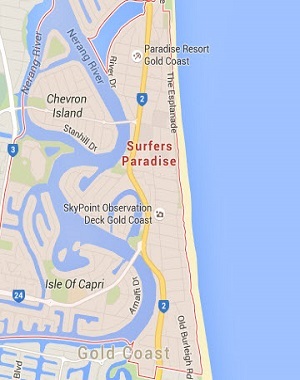 Location of this apartment: Level 5, Boulevard Tower, 6 Orchid Avenue, Surfers Paradise, Gold Coast. This 2 Bedroom Apartment is located on level 5 of the H Residences building in Surfers Paradise. Gold Coast Private Apartments (GCPA) independently manages this fully self-contained, Two Bedroom Gold Coast Apartment. Gold Coast Private Apartments 2 Bedroom / 2 Bathroom. Bedding Configuration = 1 King Bed, 2 x Single Beds and 1 Double Sofa Bed.